Our Gas and Heating engineers can solve all gas and heating related problems such as leaking radiators and boiler breakdowns. The engineers can carry out power flushing to improve the efficiency of your heating system. They can also install hot water cylinders, fit radiators, boilers, gas fires, gas hobs and cookers. 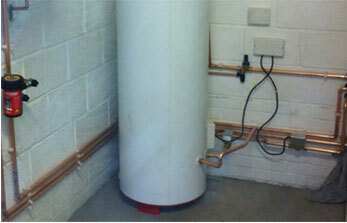 At Expert Plumbing our engineers are experienced fully qualified and Gas Safe registered. 12 Month Labour & Parts Guarantee. Prompt, efficient and on time. When choosing a radiator for a room you need to think about the size of the room, size of the radiator and style of the radiator. Expert Plumbing can offer advice, source, supply and fit radiators to suit your room. Radiators are a means of heating your room therefore it is important that they are working efficiently. If your radiator feels cold then water is not properly circulating around the radiator. Sludge is often trapped in radiators causing them to feel cold at the bottom. If you find your radiator to be partially cold then you may need to powerflush the system. Powerflushing will remove any sludge and allow the water to circulate freely, heating the radiator fully. 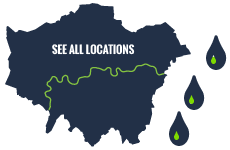 If you would like a professional opinion from one of our experienced plumbing and heating engineers call us now on 0203 538 0795. Whether you require a boiler upgrade or would like our team to design a new central heating system for your home or rented property, our experienced engineers are on hand to offer advice. Call us now on 0203 538 0795. Very thorough, very polite and very happy with my new power shower installed by Ability plumbers. They arrived on time, plumbed the new dishwasher in. Had to take out a kitchen cupboard but the finish was superb. Have already passed his details on to a friend. Added a en suit to out new loft extension. We supplied all the parts and Expert plumbers fitted them. Very good price!